Gumina S1, Candela V2, Passaretti D2, Latino G3, Venditto T4, Mariani L2, Santilli V2. J Shoulder Elbow Surg. 2014 Nov;23(11):1669-74. doi: 10.1016/j.jse.2014.03.016. Epub 2014 Jun 4. Rotator cuff tear (RCT) has a multifactorial etiology. We hypothesized that obesity may increase the risk of RCT and influence tear size. A case-control design study was used. We studied 381 consecutive patients (180 men, 201 women; mean age ± standard deviation, 65.5 ± 8.52 years; range, 43-78 years) who underwent arthroscopic rotator cuff repair. Tear size was determined intraoperatively. The control group included 220 subjects (103 men, 117 women; mean age ± standard deviation, 65.16 ± 7.24 years; range, 42-77 years) with no RCT. Body weight, height, and bicipital, tricipital, subscapularis, and suprailiac skinfolds of all participants were measured to obtain body mass index (BMI) and the percentage of body fat (%BF). For the purposes of the study, the 601 participants were divided into 2 groups by BMI (group A, BMI ≥ 25; group B, BMI < 25). The odds ratios (ORs) were calculated to investigate whether adiposity affects the risk of RCT. Data were stratified according to gender and age. Multiple linear regression analyses were applied to explore the association between obesity and tear size. The highest ORs for both men (OR, 2.49; 95% confidence interval, 1.41-3.90; P = .0037) and women (OR, 2.31; 95% confidence interval, 1.38-3.62; P = .0071) were for individuals with a BMI ≥ 30; 69% (N = 303) of group A and 48% (N = 78) of group B had RCTs. Patients with RCT had a BMI higher than that of subjects with no RCT in both groups (P = .031, group A; P = .02, group B). BMI and %BF significantly increased from patients with a small tear (BMI, 27.85; %BF, 37.63) to those with a massive RCT (BMI, 29.93; %BF, 39.43). Significant differences were found (P = .004; P = .031). Our results provide evidence that obesity, measured through BMI and %BF, is a significant risk factor for the occurrence and severity of RCT. La zona avascular de los tendones del supraespinoso e infraespinoso ha mostrado se propensa a lesionarse. Condiciones sistémicas del sistema cardiorespiratorio (como la hipertensión, arterioesclerosis y niveles elevados de colesterol), diabetes y síndrome metabólico – todos ellos asociados a adiposidad – podrían empeorar esta condición. En este estudio, 381 personas se sometieron a una reparación artroscópica por ruptura completa del manguito rotador, y 220 controles sobrellevaron mediciones antropométricas como parte de la investigación. Entre ellas se midió peso corporal y altura (para poder determinar el IMC) y se hizo una estimación del porcentaje de grasa corporal por medición de pliegues cutáneos. Los participantes fueron divididos en dos grupos de acuerdo al IMC: individuos con IMC ≥ 25 kg/m2 e individuos con IMC < 25 kg/m2. En el grupo con ≥ 25 kg/m2, el porcentaje de individuos con ruptura de manguito rotador fue significativamente mayor que entre los individuos con IMC < 25 kg/m2. 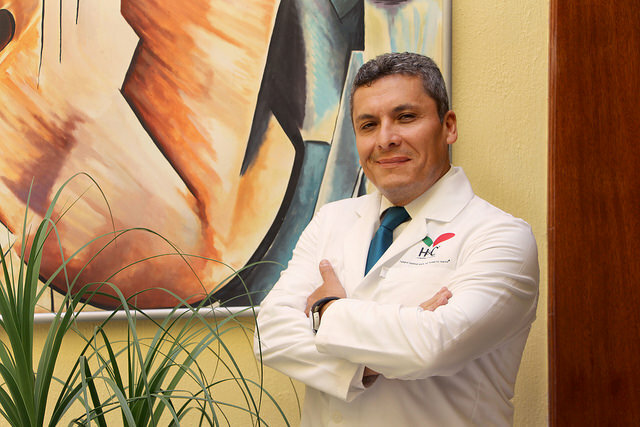 Adicionalmente, los pacientes que tenían una ruptura masiva del manguito rotador tenían una IMC significativamente mayor que aquellos pacientes con rupturas mas pequeñas. No se encontraron diferencias entre géneros. > De: Gumina et al., J Shoulder Elbow Surg 23 (2015) 1669-1674. Todos los derechos reservados: the Journal of Shoulder and Elbow Surgery Board of Trustees. Pincha aquí para acceder al resumen de Pubmed.. Traducido por Pedro Castex.